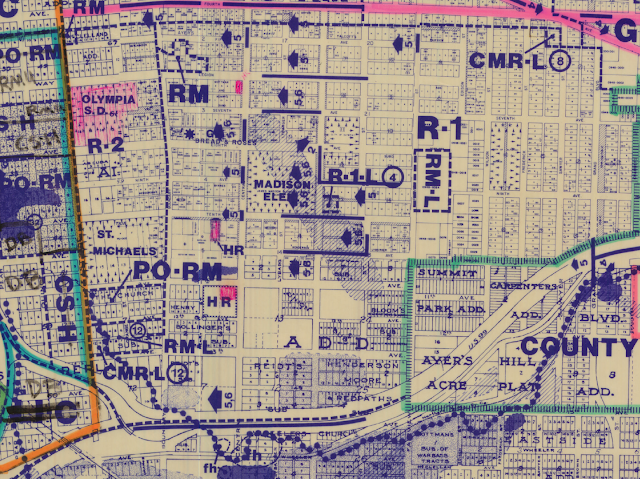 In the early 1960s and through the 1970s, most of Olympia's residential neighborhoods allowed housing types that are now included in the city's Missing Middle proposal. 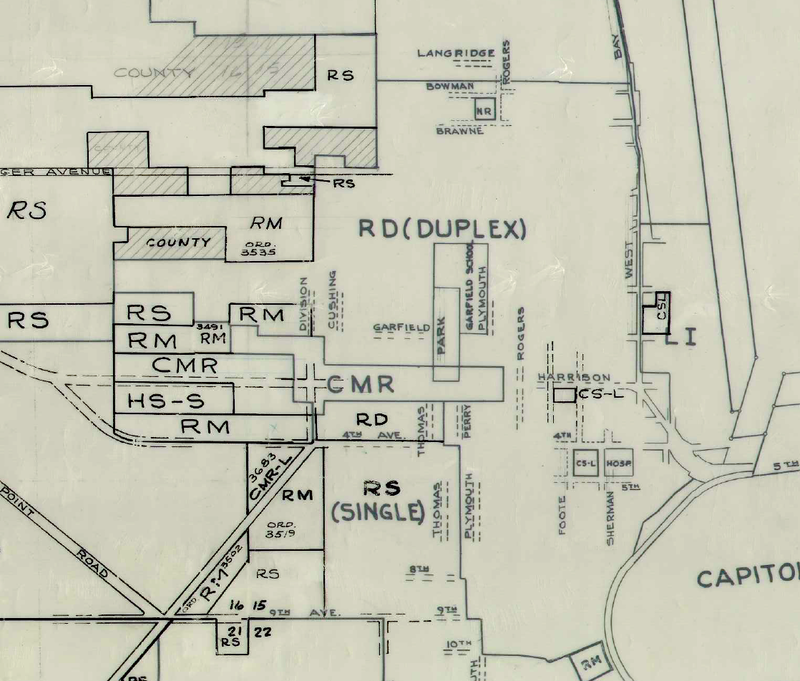 The most common of these zones was the RD (Duplex) zone that allowed for single-family homes and duplexes in the same neighborhood. In various generations of Olympia zoning codes, this later became known as R2 and then R 6-12 (meaning six to twelve dwellings per acre). In an earlier post, I pointed out how Olympia (and Thurston County) saw its largest influx of new residents in the late-70s. Even the yearly migration of today does not match the spike in new residents between 1977 and 1979. 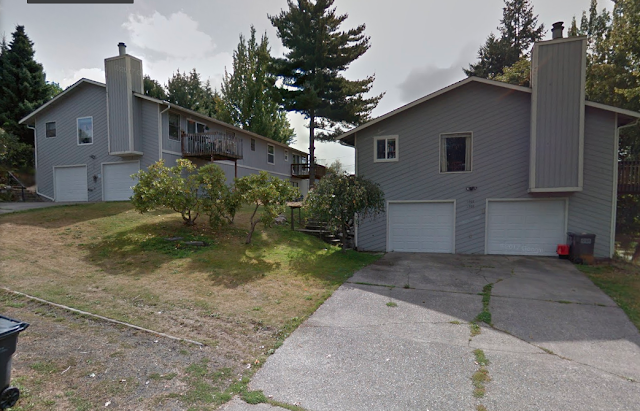 Before and during the 1970s, the construction of 2-4 unit housing pretty much tracked with population growth in Olympia, but in the early 80s, they became unhinged. This is because Olympia downzoned a series of once density friendly neighborhoods, pushing new growth into largely single-family home zoned neighborhoods on the fringe of the city. 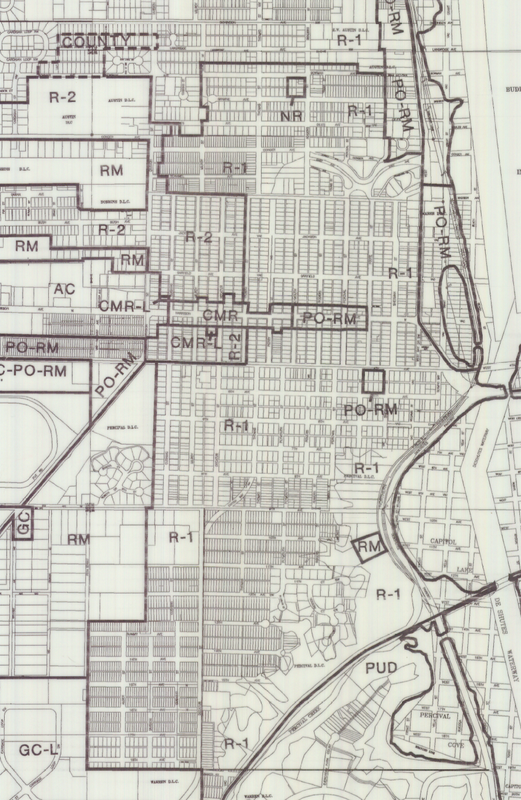 Through the 80s and 90s and to today, the city decreased to the area duplex-friendly zoning covered. This led to examples of places where duplexes had been built, but they weren't actually technically allowed by the zoning rules. In fact, because of persistent downzoning in recent decades, there are literally hundreds of examples of non-conforming missing middle housing throughout the city. According to the city's tally, there are over 200 non-conforming duplexes, 462 non-conforming tri/fourplex units, and 89 non-conforming 5-12 unit apartments. All of these were allowed under zoning rules when they were built, but the rules changed over time. It's worth your time to watch how the zoning maps changed over time. 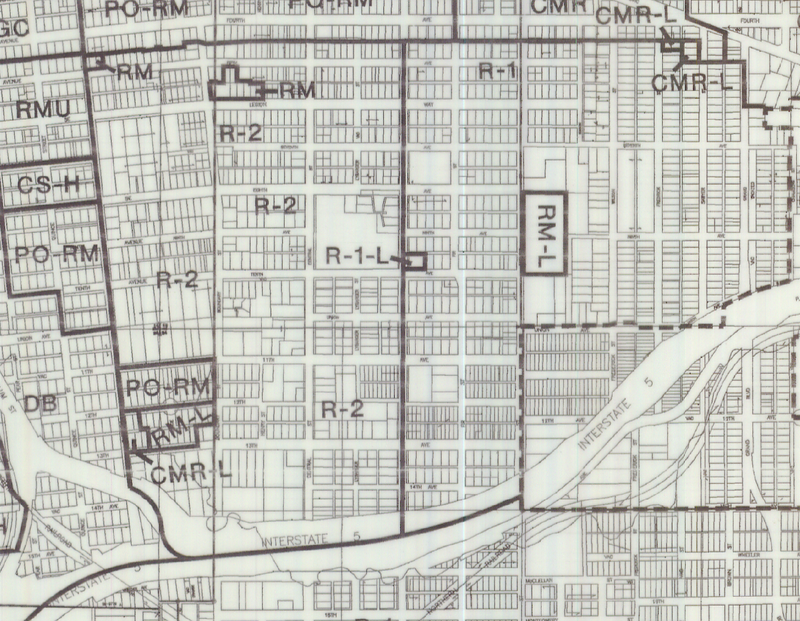 In 1962, the Eastside duplex zone stretched from Eastside up to McCormick. Then twenty years later (as R-2 zoning), it became much smaller, stretching only to Boundary. In 1994 it expanded again, but.. It (this time as R 6-12) shrunk back down in 1995 through to today. We can see the same thing on the Westside. The duplex zone dominated most of the hillside over there in the 1960s and 70s. Then in the early 80s, the zone shrunk as most of the area downzoned. But in 1995, the area for duplexes expanded again, taking back a bit of what it used to be. 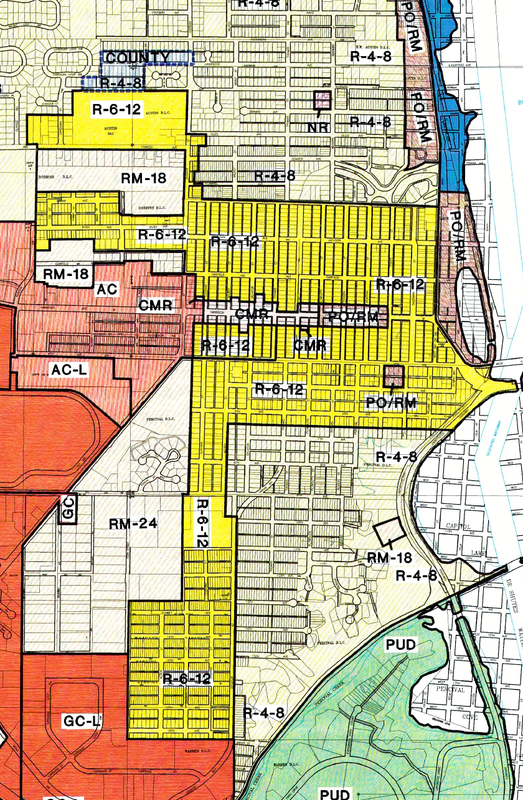 The most interesting downzone example was in 1988 when the city, downzoned a portion of each of these neighborhoods from a zone that would allow duplexes to a single-family home only zoning. There is nearly zero coverage of the 1988 downzone, the only real reference I found to it was in the city minutes. 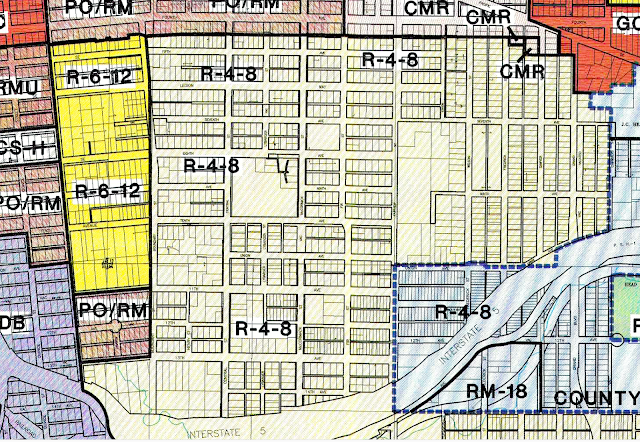 It seems odd to me that of the 18 people that testified on the downzone, 13 were against it. 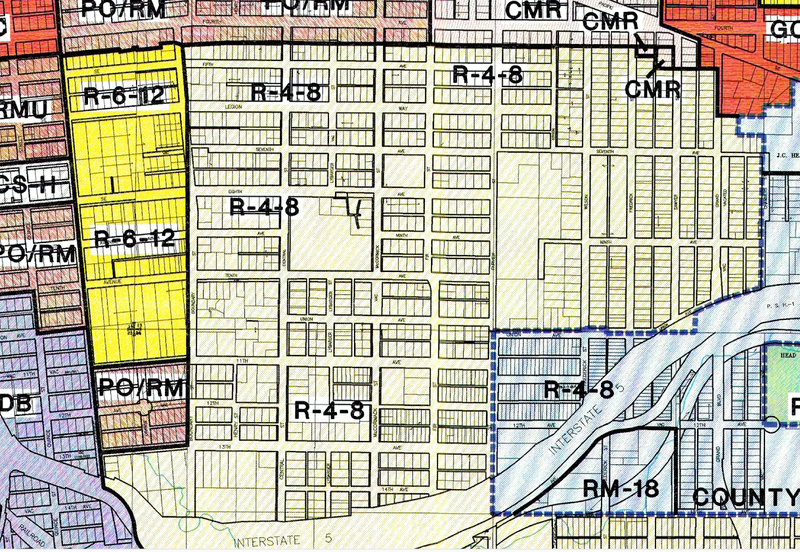 Despite the opposition, the massive downzone went from the planning commision to approval by the city council in four short months. 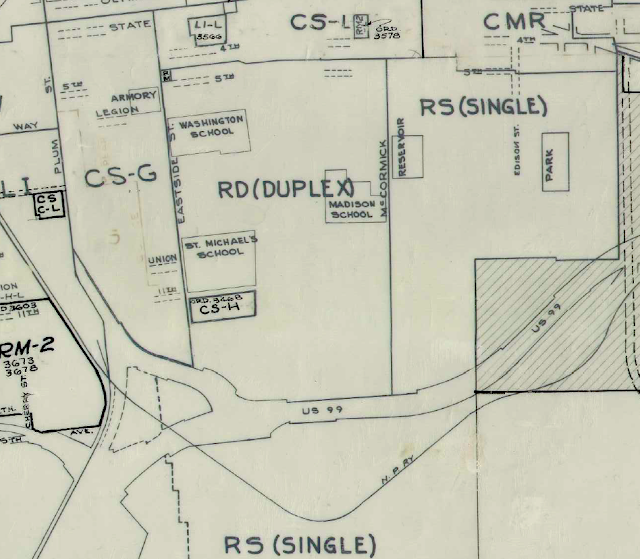 According to the ordinance, the reason for the downzone was to align the zoning in those neighborhoods with this policy in the then Comprehensive Plan: "Older neighborhoods which are predominantly single family should be zoned single family to encourage home ownership and rehabilitation." The neighborhood stabilized. It became nicer. It also (seemingly) became more expensive. Taken from a different perspective, what happened to the Eastside is called gentrification. Jim doesn't really go into why this would happen, but it seems like once you stop allowing more residents to move into a neighborhood and make housing the more exclusive, the neighborhood becomes more gentile genteel. The city of Los Angeles has tested this theory by downzoning the city to permit fewer dwellings. 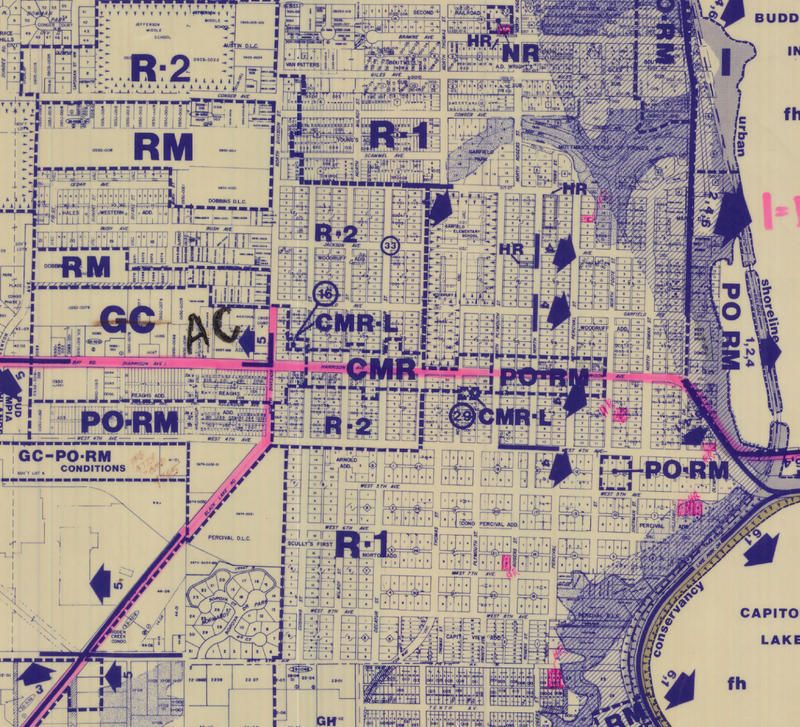 In 1960, the city was zoned to support 10 million people. By contrast, today the city is zoned to support only 4.3 million people — just slightly more than its current population. So if excluding housing made housing cheaper, Los Angeles land prices would have fallen, causing rents to fall. And yet rents, adjusted for inflation, have risen by 55 percent, while median renter income has grown by only 13 percent. Rather than declining, land prices quintupled, from just over $86,229 per house in 1984 to $483,692 in 2014. Less access to housing over a finite area leads to a higher cost to access that housing. Seems pretty simple. The purpose and the result of the downzoning in Olympia was the gentrification that we've seen over the last few decades. Rather than allowing the neighborhoods to absorb the growth that was coming, we allowed it to do something totally different. Emmett--I appreciate that you put my face on this one but you overlooked some basics about the Eastside. For instance, the Eastside is still 50% resident owner and 50% renter occupied. Second, the Eastside housing market is notably cheaper than what is available elsewhere in the city (median house prices were over 20% lower in 2017). The primary buyers in the Eastside market were not wealthy but often young families. So you can claim gentrification, but only if you ignore who the actual residents of the neighborhood are and where the wealth went in this city (for example, some of the SE neighborhoods). Finally, you overlook infrastructure issues. You assume full infrastructure in the Eastside but, because it never was a monied section of town, there are a lot of gaps in the Eastside. Less that 50% of the blocks have sidewalks, many homes are still on septic, and park space is quite limited. I hope your concerns about how the city plans for land use extend to the LBA Woods purchase--where 900 housing units will never be built so that those in housing developments with 4 units per acre can have a jogging trail--in addition to have far more park space that we'll ever have near the Eastside.